It is not necessary to depress the button on the hand brake lever when engaging it. 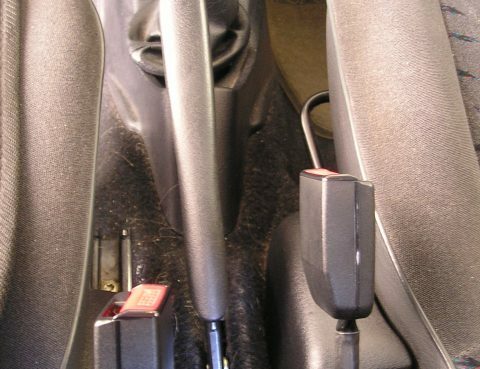 The amount wear of that occurs on the handbrake mechanism from doing this is negligible. So go ahead, and feel the hear the ratcheting sound of your handbrake working to keep your vehicle parked safely.